If you haven’t read my earlier post on How to Use Apple TV in India, you must first read that & later proceed to this post. In this post I’ll try to cover Apple TV features in details with screenshot images. As given in my earlier post, Apple TV works only on Internet through wireless or ethernet cable, you need to sign in to your iTunes account to start using. If you wish you can sign into different account later on. Depending on bandwidth availability you need to set the video resolution, if you have 2 Mbps above line, you must set it to 1080p. In case if you don’t have good bandwidth you can reduce this resolution to start the videos with faster performance. You can also change the location anytime you wish to see content from other countries. 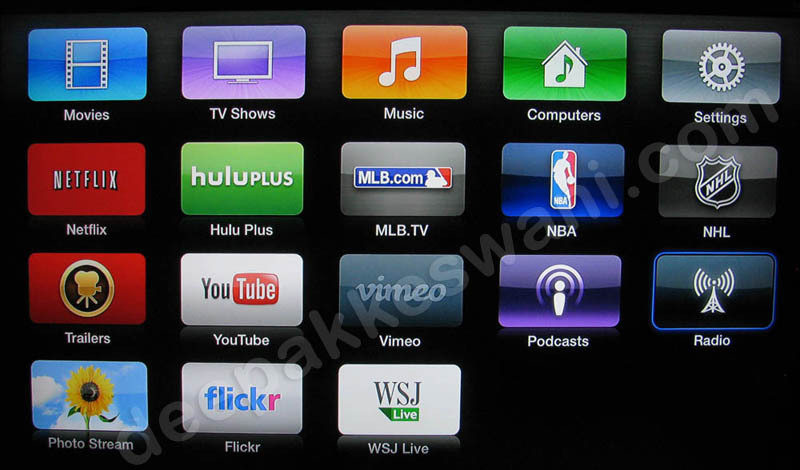 Following is the list of applications you see when you connect Apple TV to USA store. So far there is no such restriction on changing the stores. 1. How to watch YouTube Video on AppleTV? When you select the YouTube Application from menu, you are presented with box to type the search term. Words can be typed by taking the cursor on each box and pressing the center button. As you are typing the YouTube suggestions start appearing. When you press the right arrow in search results, left side keyboard converts into the video info panel where you can see the video poster, description, duration & number of people viewed that video. Selecting the video immediately starts the video from YouTube Service. 2. How to Play Podcast on Apple TV ? 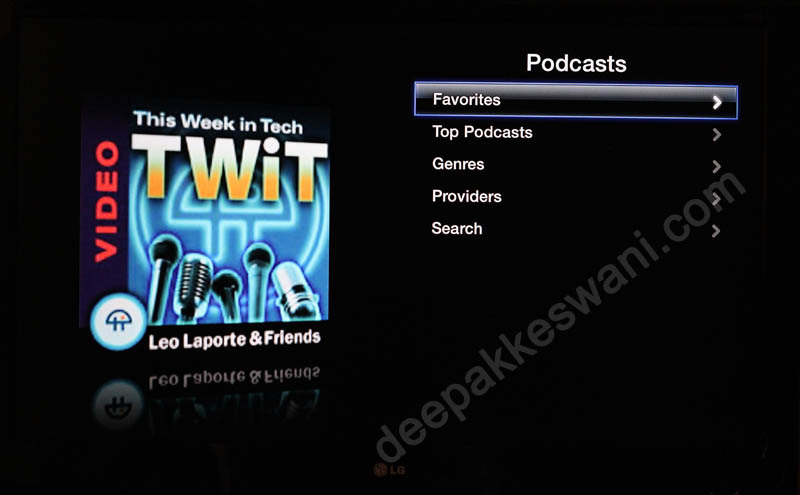 Selecting the podcast menu option from Apple TV brings these Top Podcast. Once you have found the podcast that like and would like to regularly listen or watch you can also add these to your Favorites. 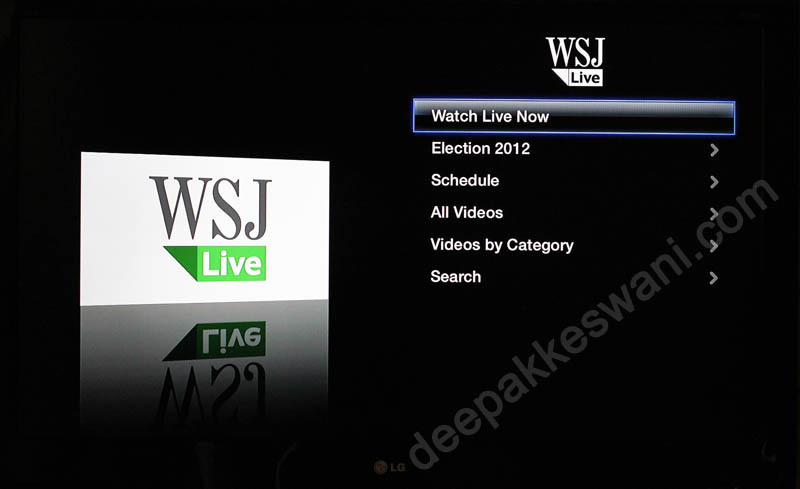 Wall Street Journal Live TV works as per US time. But there are also archived videos available for viewing at any time. 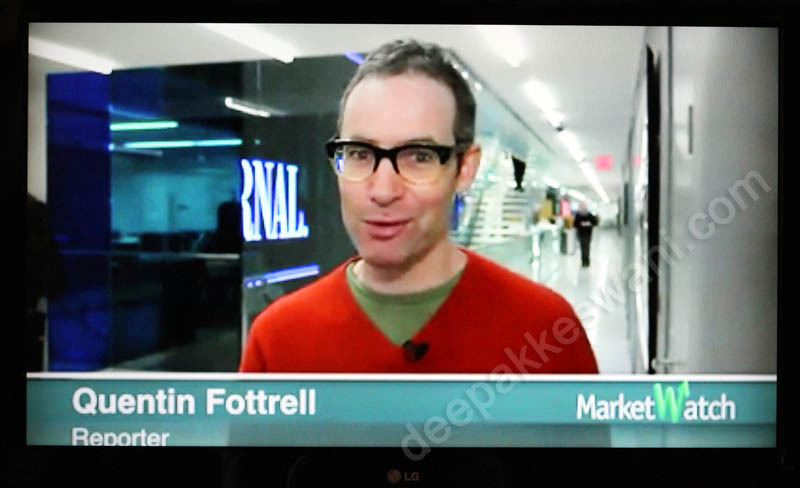 If you play video on WSJ Live, it almost plays like a high definition channel. WSJ Live is available for FREE on Apple TV. While Radio station is being played the display appears like this where track details are also shown. 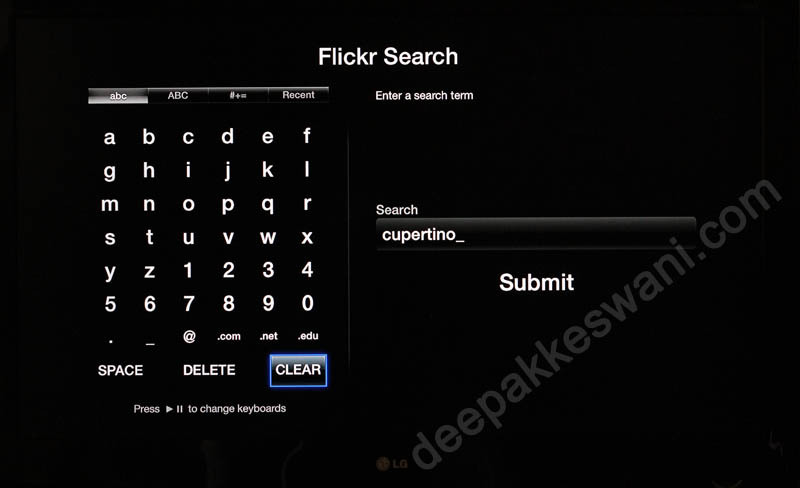 You can use the screen keyboard to type the string you wish to search for images. If you know the flickr handle, you can also search that. Typing with screen keyboard and Apple TV remote can be difficult. If you have Apple iPhone/iPad, you can use Mobile device keyboard to type faster as given in following screenshot. You need to install Apple TV Remote App to connect iPhone as remote to Apple TV. Remote App is available for Free from Apple store. Results of Flickr Photo Search. You can also show these in fancy slideshow format. 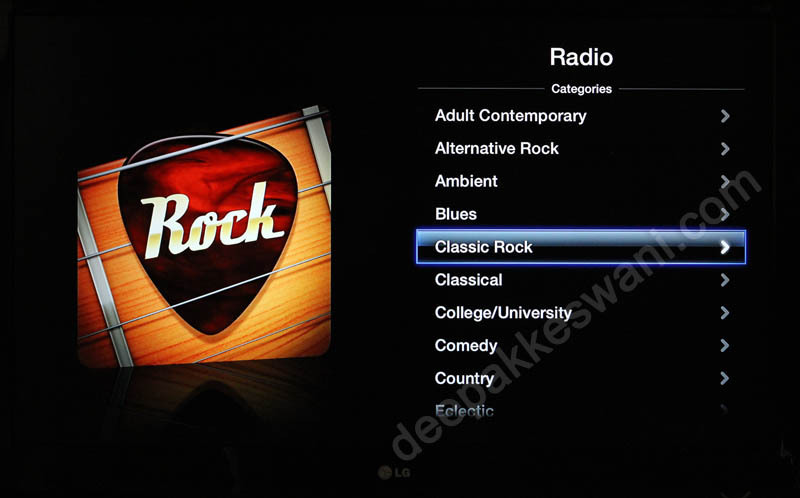 Apple TV gives direct connectivity of your Drawing Room display to Internet. Now Internet can bring anything, specially when children are browsing through Photos, Videos, Podcast, Trailers. You can set a passcode and define which application will require that passcode for playing content on your Television. Passcode is four digit numeric input set for parental restricted content. 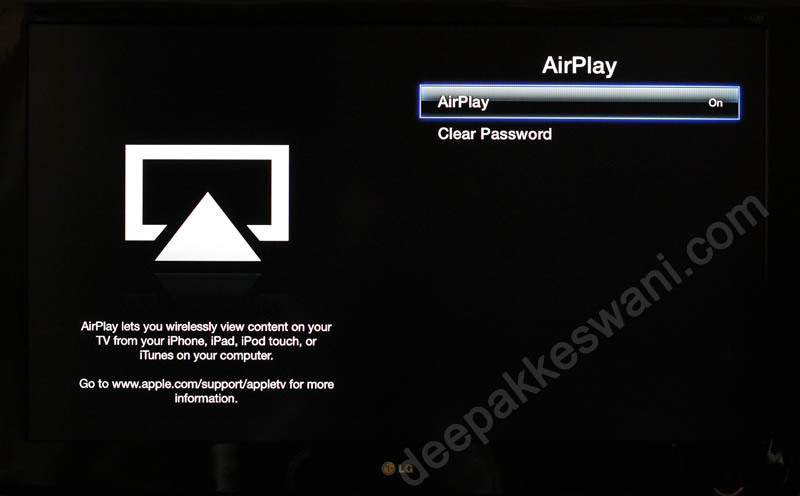 Secure your AirPlay with password. Clicking the AirPlay button brings the menu to choose Apple TV for sending image view to Television. 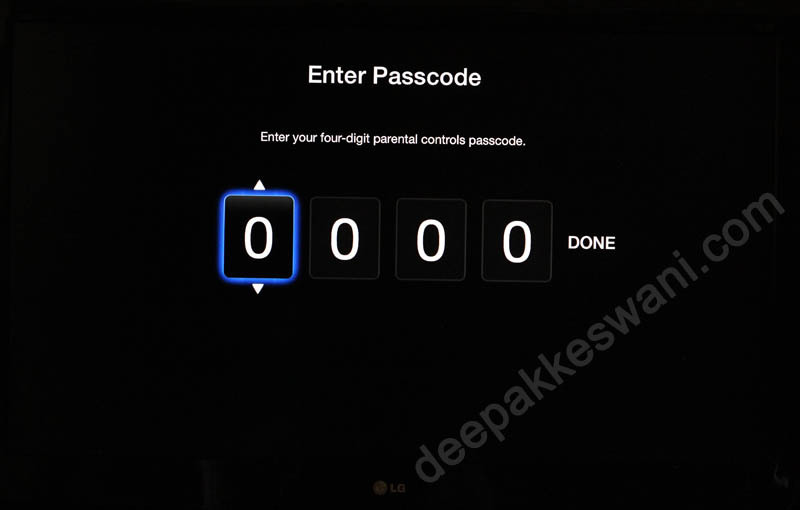 Once you enter the password to AppleTV your images will start appearing on bigger screen Television. While the AirPlay session is active you will see AirPlay button turn into blue color. Now as you shuffle through the images on your phone same will appear on your Television. Some of the application may not support AirPlay feature. For those you can use AirPlay Mirroring Feature. Once Apple TV is on, you can turn on the entire phone mirroring by pressing home button twice and swiping bottom bar from left to right two times. This will show you Screen like below. 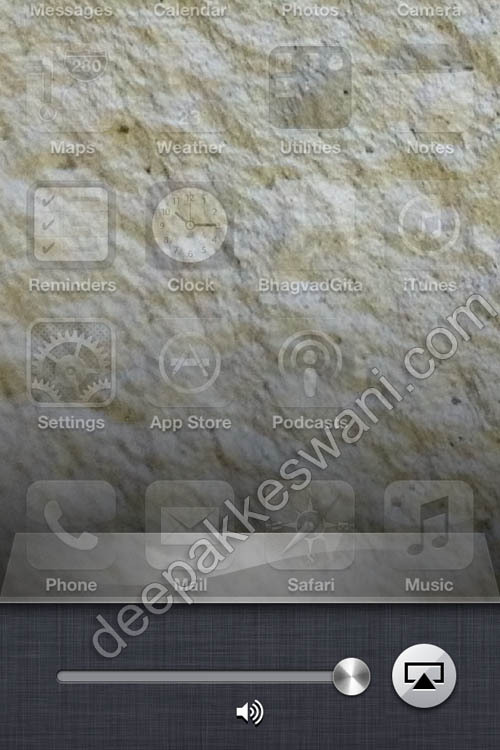 Touching the AirPlay button will present you option to mirror the entire iPhone/iPad screen to Television. very good guide. 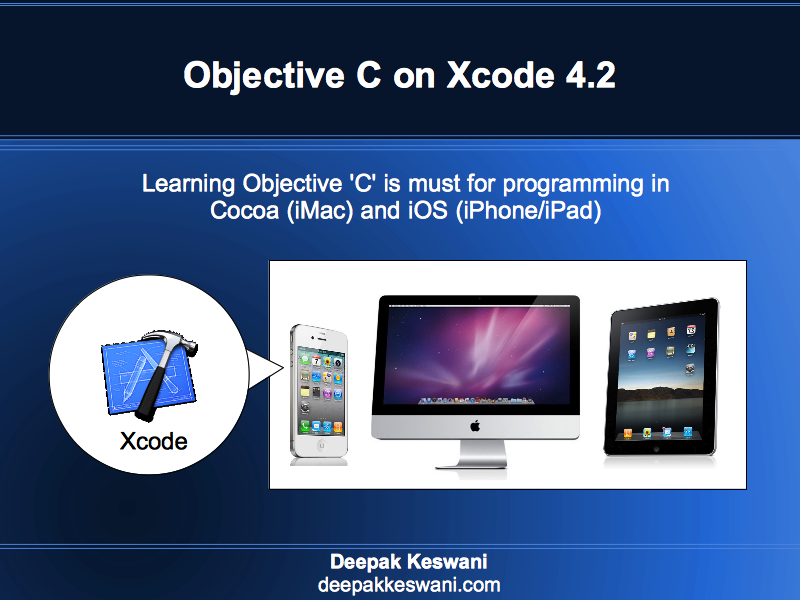 Can you also list down what all benefits can be used in india if the apple tv 2 is jailbroken ? Hi Deepak, if I choose US as country do I need to use a US credit card ? When you choose US as country. There is no verification done by Apple TV. You can see everything what US people can see as far as TV apps are concerned. You can watch Movie Trailers Wall Street Journal TV & SKY TV channel. However when you choose the app which is highly restricted to US, that won’t work in India like Netflix. And regarding buying the content from iTunes, why would you like to spend money in USD when you get same in Apple TV India store at cheap rate. Some of the Music and Movies are available in US only, I’ve not tried that. Hope that is helpful. I don't recommend such work arounds. You can look for other websites for help on this. is it worth to buy apple tv box ??? and can we also play games on our tv scream through it ?? Apple TV worth varies from person to person. If you already have iPhone, iPad, Mac Book Pro, buying Apple TV worth is higher. Primarily it makes your dumb Idiot box into intelligent device with unlimited internet content. If you are not into Apple products and prefer Android products, chromecast can be an alternative for you. Yes you can stream mobile games on bigger screen through AirPlay feature on Apple TV. 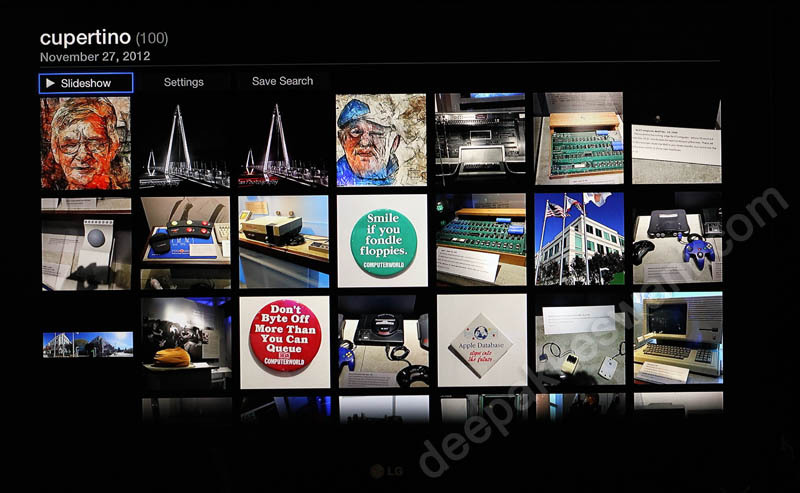 You can even show photos, videos clicked from phone directly on big TV without any cable. You can mirror the entire iPhone and iPad to big screen TV. Thanks Deepak your info was extremely useful. I am a Apple fan. Intend buying the Apple TV from Australia to use in Goa, India. I have an Apple TV a and a 3G pro enlighten android tab. 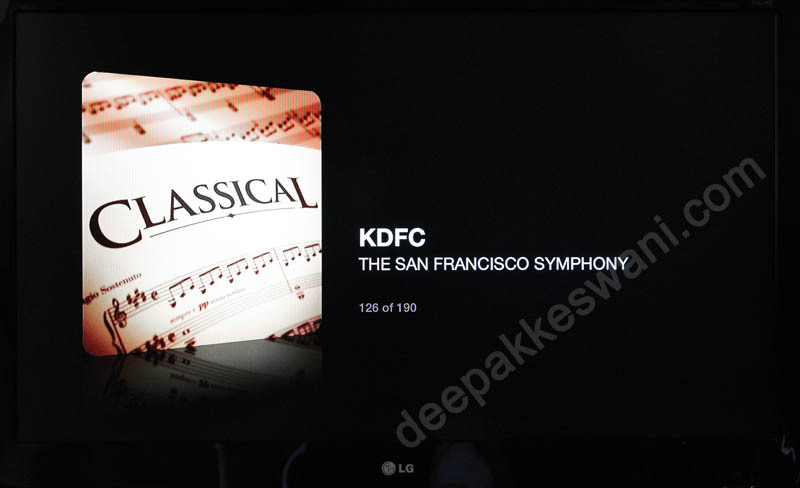 I want to see the programme video of the tab on TVs screen.Videos of android tab could not be seen on TVs .What to do.